The Holidays are upon us and that means hunting down the perfect gift for those special ones in your life. I know for me I always seek out original gifts you won’t find at your big box shops, but also a blend of style, function, and eco-friendly. I hope to inspire your gift giving this season by shopping small-business, sustainable, handmade, and ethical. I’ll be purchasing gifts from businesses that make shopping guilt free because I know I’m gifting products that are good for the environment and its people. Here are my top choices of gifts for everyone in your life this holiday season. Ever thought you could make a difference by buying a beanie? 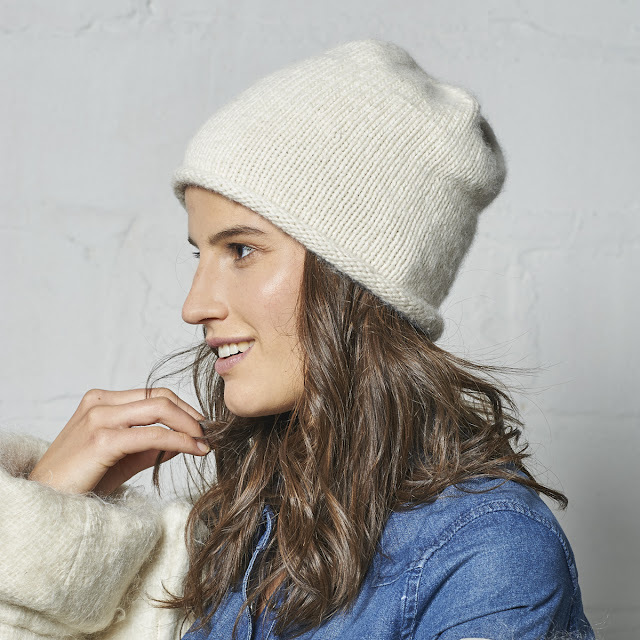 The new hand-knit accessories brand WOOLN allows you to do just that! All WOOLN pieces are handcrafted by New York based talented grandmother knitters, with carefully and ethically sourced high quality yarn. The main goal of the brand is to create a cross-generational community of conscious commerce. This winter, the line includes versatile accessories for men and women, made of alpaca, merino and cashmere. Featured in the photo the cashmere capsule off duty model here. 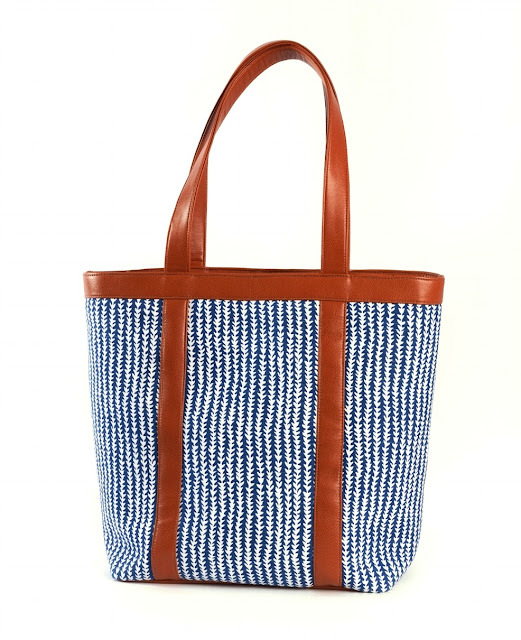 The sustainable bag label offers the “all in one bag” created for the modern day woman in mind. Eba Totes is designed to work with your multifaceted life. It has 2 compartments: one for purse items and another for everything else (gym, baby, travel, etc). It’s also features a waterproof interior. 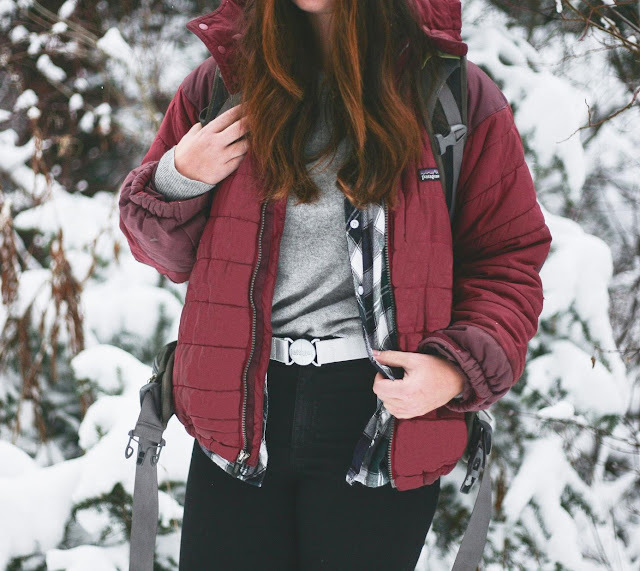 Style meets versatility all while being eco-friendly which makes it the perfect gift for the ladies in your life. I love the indigo print and their vegan leather options. Product details here. Treat yourself to the gift of beauty with Olga's Organics. We all use beauty products to make us look good but with Olgas Organics you know it is good for you. They make loose powder with the finest organic ingredients in the USA. Olga's Organics offers the first USDA Organic certified makeup on the market. 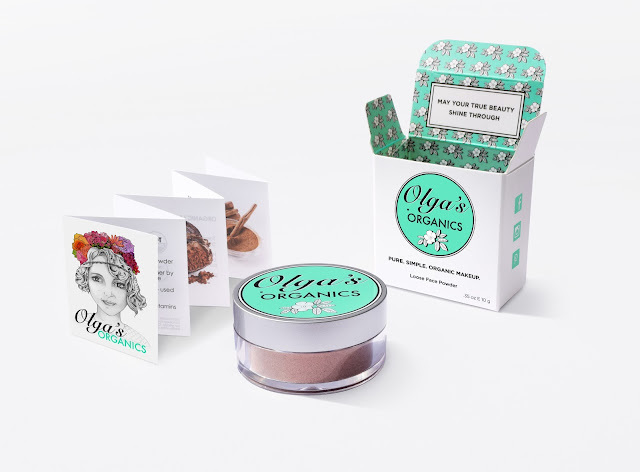 The "heavenly smell" and smooth, even application is what sets Olga's Organics Loose Face Powder apart. They even offer a vegan kubuki brush made from bamboo and vegan fibers. The whipped body butter is another must. This USDA Organic Certified Whipped Body Butter is truly "the cream of the crop." With therapeutic properties in the essential oils used. Great gift for yourself, and others. Product details here, here, and here. Saressa Designs: hand-crafted jewelry that combines minimalist, elegant, and soft statement approach. The indie line offers everything from necklaces, rings, earrings, and bracelets. 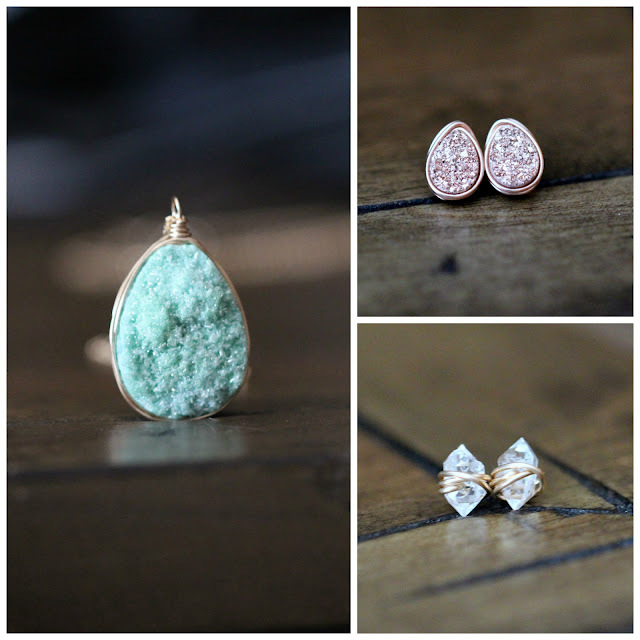 Designs are a mix of custom cut gemstones into geometric shapes wrapped in designer Rachel's signature style with high quality metal to create one-of-a-kind statement pieces. The jewelry is versatile for all types of occasions. Saressa Designs is a must gift for any gal in your life. Product Details here. 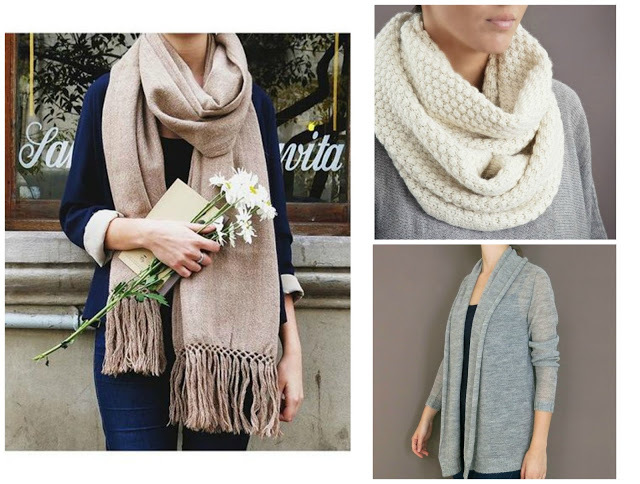 The luxury line creates sweaters, shawls, scarves, and blankets all handmade using baby alpaca fur. They only use natural textiles to preserve nature and offer authentic fibers. All garments are carefully knitted by hand, making each piece one-of-a-kind. Their Diagonal blanket is produced with the finest baby alpaca fur from Patagonia and the Andes. The Frifri cardigan is a classic wardrobe staple easy to pair. You will find all types of gifts for everyone in your life. Luxury meets sustainability at animaná. Product details here. Style meets function while still being environmentally friendly. Jelt Belt are made from 100% recycled yarn with an inner gel that grips to pants. Because their is no metal, it's the perfect travel accessory. I love that Jelt Belt keeps my pants from sagging all while keeping up with my active lifestyle of raising 3 boys and a baby on the hip. 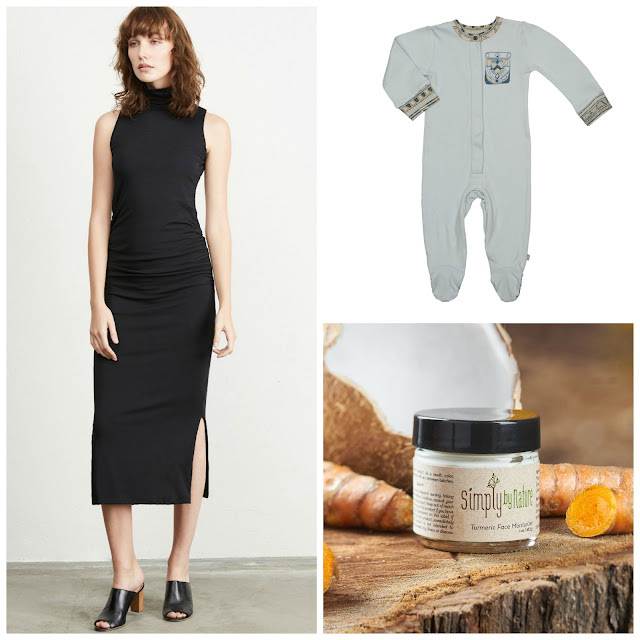 Not only are you gifting a wardrobe essential that’s sustainable, but your investing in others. With every belt purchased, Jelt donates to several organizations here supporting veterans, youth, and families. Socially responsible and environmentally friendly. Jelt Belt is pretty much the perfect gift for anyone in your life. Product information go here. The Eco-friendly Iphone case created by Pela is my top gift for everyone. This is not a basic phone case, Pela creates a sustainable, plant-based alternative to conventional plastic products. Innovation meet function. It's durable enough to protect your phone, eco-friendly, and biodegradable after use. They use a unique blend of plant-based biopolymers, flax straw "waste" and recycled materials. Pela’s goal is to make less waste, one case at a time. Let's join them...Product details here. Hippy Chic offers the coolest wallet you'll ever own. This is not your basic wallet. 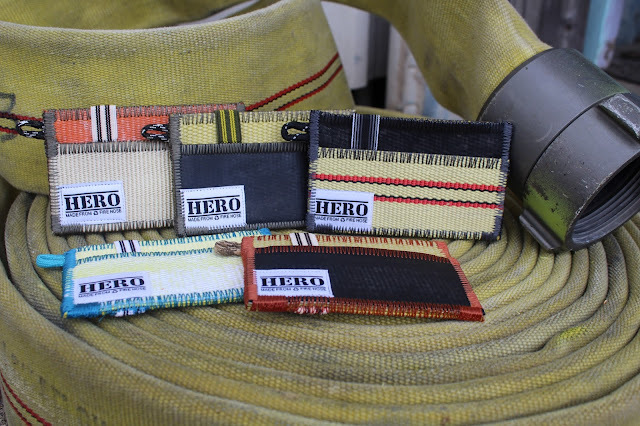 The Pocket HERO is handmade from repurposed decommissioned fire hoses. The perfect gift for the HERO in your life. Durable as a fire hose, slim enough to fit in your pocket, yet can hold everything you need. Not only is it one-of-a-kind product, they donate a percentage of proceeds to firefighters and burn victims. Product details here. The list doesn't stop yet, continue here to see more sustainable, ethical, handmade brands and products that make perfect gifts for your loved ones…including yourself. Shop without guilt this holiday season. Those are great ideas! I'll definitely take them into consideration. thanks for this guide. don't forget to play mmx hill dash game's mod in your phone to have fun while travelling in bus or any other vehicle. Nice working. Keep one sharing content like this. Check out today's most recent & up-to-date news coverage, videos & photos at thesportsrumour.com. Check this for getting more updates on the best apps.